The above photo is yet another one of my macro shots from last Sunday. I noticed these beautiful red leaves glistening in the sun from my window on Sunday morning. I made a mental note to revisit them in the afternoon. In post-processing, I decided to continue playing with my Kim Klassen lessons and a new texture by Betty Jo (no actions). 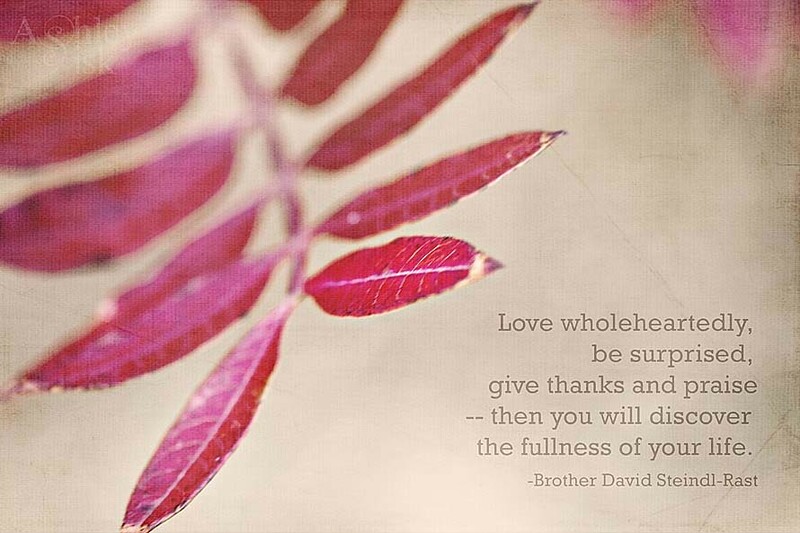 Since Thanksgiving is next week, I also wanted to evoke that spirit of Thanksgiving into the image by adding a quote. I really like the way it turned out. Speaking of Thanksgiving, my husband and I will be hosting the 7th (I think it’s been seven years) Annual Thanksgiving Extravaganza at our home. I am so excited to have my friends over and to use our china for the first time. I’ll be sure to take a few pictures (friends…be warned). 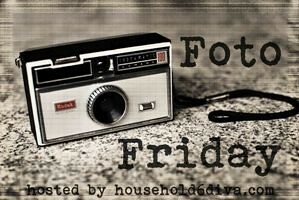 Until then, I am linking up with a few other bloggers today including a new challenge I found called Foto Friday and Live Every Moment’s photo challenge – the theme this week is Thanksgiving. 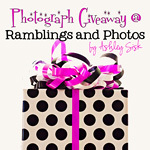 Don’t forget to check out my photograph GIVEAWAY. Have a great weekend and I’ll see you on Sunday for Scavenger Hunt Sunday!